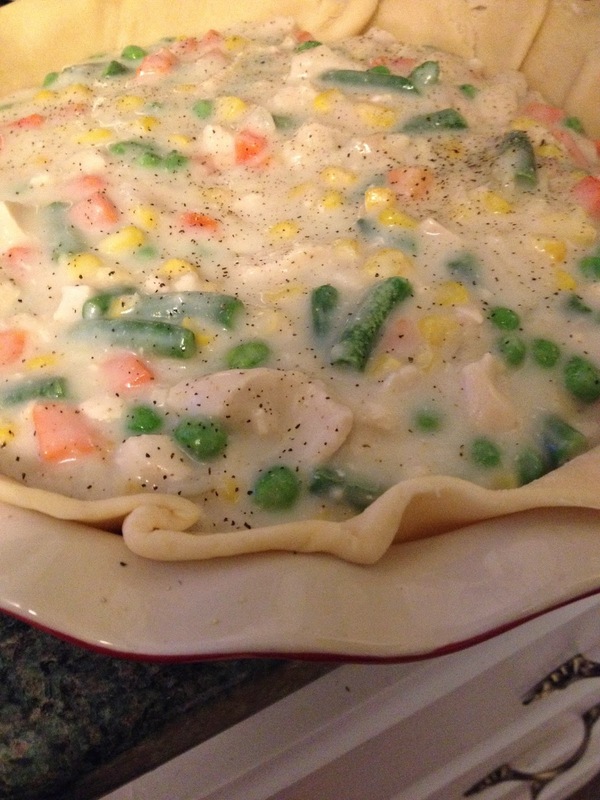 If you ask my hubby what his favorite dinner I make is, his answer would be my Chicken Pot Pie. I have used several variations of this recipe over the past few years, but have finally found a way to make it that we love! 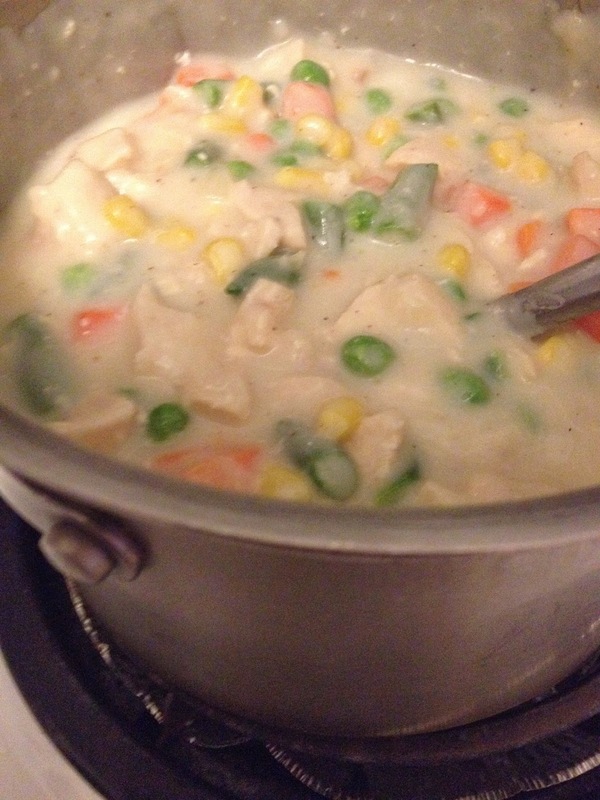 I hate using "cream of" soups, so I found a way to make my own, pretty easily! I'm happy to share this recipe with you and I hope you love it as much as we do! 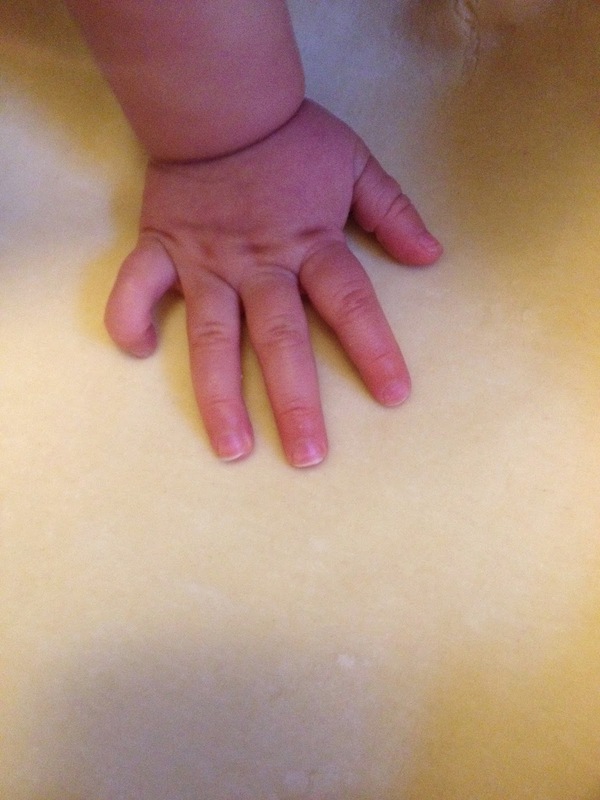 Check out those perfect little chub hands. I can't handle the cuteness! Ok, I'm really going to give you the recipe now! -1 bag (about 12 oz) of frozen peas, carrots, beans...whatever frozen veggies you like. In a saucepan melt the coconut oil or butter. Then stir in the onions to saute them for like a minute. Add the flour, salt and pepper and stir until the mixture is bubbley. Then stir in the broth and the milk. Heat the mixture until it has been boiling for at least one minute then remove it from the heat and add the veggies and chicken. 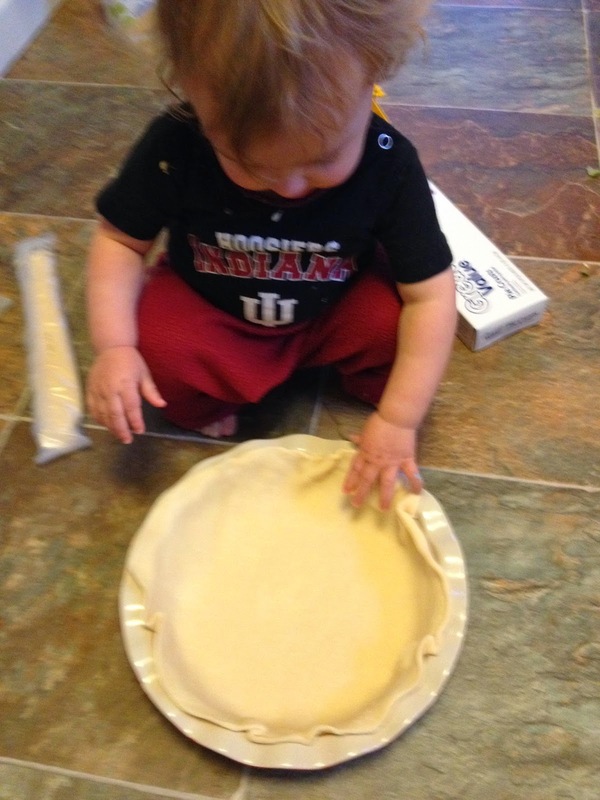 I just use the refrigerated pie crust. I would make my own crust, but let's be honest, ain't nobody got time for that right? I place one of the crusts on the bottom and the other on the top. I know you already knew that, but somebody out there didn't, so that was for them! I like to sprinkle a little cracked pepper over the sauce and veggies just for some pzazz. 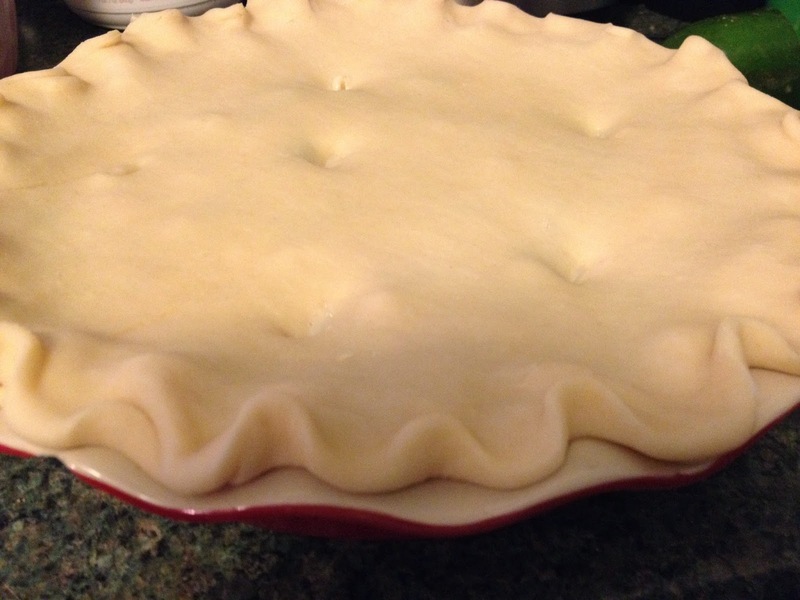 Cut slits in the top for ventilation and bake at 425 for about 30 minutes or until top is browned! Yum! 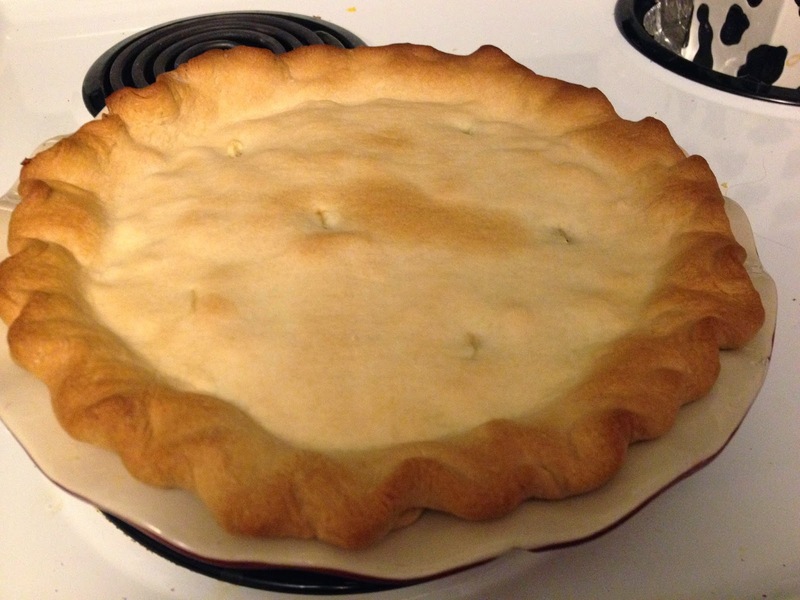 There's not much better than a freshly baked pot pie! I make a pie similar to this and we love it! Now all I need is that darling helper with the chub hand! lol! thanks for sharing with SYC. 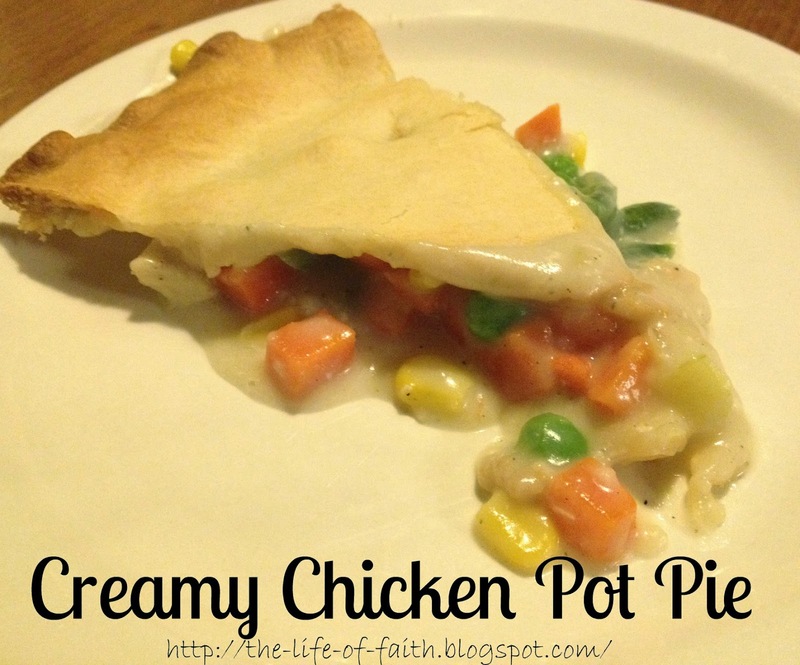 This sounds like a perfect comfort food style meal! That looks really good! I love pot pie! Thanks for linking up with the Bloggers Brags Pinterest Party. I have pinned your post to the Bloggers Brags Pinterest Board!